Sometimes you just get lucky. We booked our New York trip back in January. This included theater tickets. Buying theater tickets before some shows open is always a risky venture. You are basing it on a gut feeling. Maybe something someone wrote. Out of town tryouts or small snippets of the show they have released. This year we bought tickets for 5 shows. One of them closed before we got to New York (Wonderland) and one was cancelled because of the Harry Potter Premiere (How To Succeed in Business). Luckily, for us both shows were cancelled early enough I could adjust and buy other tickets. In this case I bought much better tickets. How To Succeed was cancelled back in February. 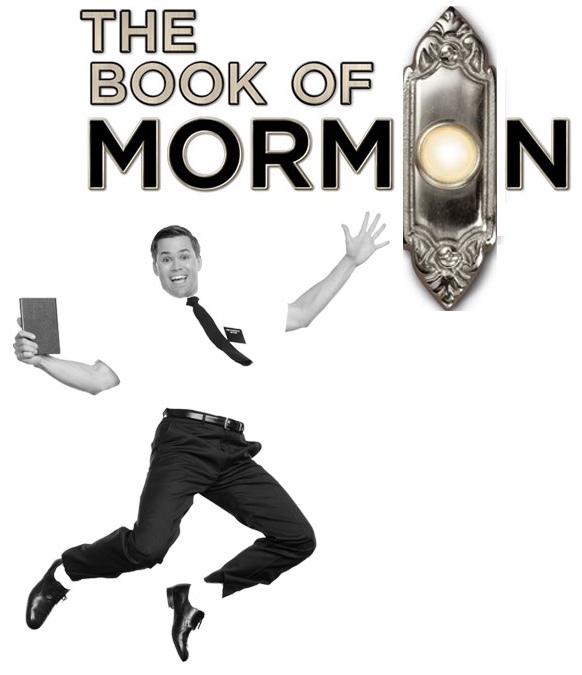 So I bought tickets for The Book of Mormon. There was already a buzz going but of course nothing like what was to come. In a couple of months those tickets would have been very hard to get. Wonderland was cancelled several weeks before the Tony Awards. I did a quick search around and saw that Anything Goes had been extended several times. Even more importantly it had Sutton Foster in it. If I had seen this when I was first buying tickets I would have bought this show (although in my defense I don’t think it was originally suppose to go into late summer). This was a lucky buy for us because Sutton Foster would win the Tony (as well as Anything Goes for best revival) and suddenly the show became a hot ticket. It has played to over capacity crowds since the Tony Awards. Both the cancellations ended up being a giant trade up. The two shows we replaced them with became our favorite shows on this trip. Here are my very brief thoughts on each show we saw. I listed them in order of our favorite to least favorite (this is the first year traveling to New York where we completely agreed on the order). This show was wrong in so many ways I can’t even begin to explain them all. Of course, it is from the creators of South Park so you wouldn’t expect anything less. There is one scene where I think I cried all the way through it (I was laughing so hard). The musical was surprisingly sweet with a very clear message of kindness. We really loved it. This was a revival of the Cole Porter musical. It was a little hokey and a little corny and a lot of funny. Joel Grey was a lot of fun to watch (our first time seeing him) but the show was absolutely owned by Sutton Foster. The Book of Mormon was the better overall show but Sutton Foster had the standout performance of the week (and maybe ever for us. Definitely one of the top). She is a marvel. Singing, dancing, acting, and smoldering (not something she is well known for). I wished I could watch again immediately. I am going to go ahead and call it here right now in 2011. Twenty years from now Sutton Foster is going to play Gypsy and absolutely slay it. This was a really fun musical. It wasn’t spectacular. No song really stuck with you as you were leaving the theater. Norbert Leo Butz was great but I admit I had a hard time considering him the lead (which he won the Tony for). He really wasn’t. Aaron Tevit was and he was also very charming and good. The show was missing that little extra something which often makes good musicals, great. Still it was worth it. Sheri has wanted to see this for a long time. I am glad we did. We got really lucky because Ashley Brown (the original Broadway Mary Poppins) was in it. Our problem with the show is it was a little slow and sometimes felt uneven. It was still good but really didn’t knock us out like we had hoped it would. We bought these tickets for two reasons. One it was playing in Radio City Music Hall, a venue we had always wanted to see a show in. Two we love Cirque shows. We were a little surprised it was our least favorite show. It really brought absolutely nothing new or interesting to the Cirque world. We liked it well enough but if I had to do it all over again I think I would have bought Sister Act or some other musical.